You are here: Home / Historical Mysteries / King Richard III: Ruthless Ruler? Yes. Regicide? No. After I posted my take on the historical mystery of the Man in the Iron Mask, Suzie suggested that I look at King Richard III and the case of the Princes in the Tower. King Richard III is in general regarded as their murderer and the play by Shakespeare has done everything to cement that in people’s minds. So much so that they do not even look further than this play to form an opinion about this King. I decided to skip Shakespeare, went straight to the library and picked up some books that were most read on this topic. Rehashing history is not my thing so if you need to know more about the time period of King Edward IV, King Richard III and King Henry VII, do an online search or better, grab a history book. Also, I am not going to summarize everything that I read, explain the War of the Roses or, the intricacies of the British Empire at that time. 1: was it understandable that people accused King Richard III of regicide? Yes. 2: would any prosecution be able to prove the charge of regicide? No. 3: was there an alternative explanation for the Princes’ disappearance? Yes. I will explain my answers below. Keep in mind that I am not a historian so there is every possibility that I overlooked a thing or two, three … maybe four! A lot of the materials about this case are based on the historic works of Sir Thomas More, Dominic Mancini, Polydore Vergil and the Croyland Chronicles. More modern works that have substantially influenced the debate are by J. Tey (note that the book “the daughter of time” is fiction), A. Weir and B. Fields. And of course, there is the Richard III Society with a fabulous website loaded with information. The older works share something with the modern work by A. Weir that irritated me from the start: prejudice. I already spilled the beans with the title of this post. I am not convinced. Since it is more likely that readers will first pick up the more modern books due to readability and accessibility, let me first focus on Alison Weir’s book. Tey’s is great but like I said, it is fiction. Weir’s case against King Richard III, what she labels the most damning evidence (p. 164) is the simple fact that the Princes Edward V and Richard of York disappeared while under Richard III’s protection and that Richard III never explained what happened to them. Richard III never indicated that the two Princes were still alive but he also never produced them for the public to see. Of course, appearing in public with his older brother’s two sons would have forever silenced all gossip. But this is just too simple. Weir writes that an innocent man would have produced the Princes. Since Richard III kept silent and ignored the rumours, he became a suspect. Now to Weir’s credit, she also does state truthfully that King Richard III NEVER falsely accused someone else of kidnapping or murdering the Princes. But indeed, he never denied the rumours. He remained silent. But he was not the only King who remained silent on the matter of the Princes. His successor, King Henry VII, remained as silent as Richard on this subject. After he was proclaimed King, Henry did make an effort to search the Tower of London but he too could not prove the Princes existence or, produce their dead bodies. Alive, the Princes were an even greater threat to Henry VII than they were to Richard III. 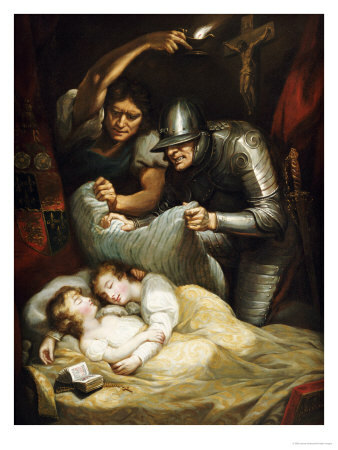 Richard III already was the Protector of the Realm by his brother’s last wishes. Henry VII had no such royal nod of trust. Henry VII showed himself as conniving and ruthless as Richard III. However, Weir states “his behaviour convincingly suggests that he did not know what had happened to the Princes.” How was his silence different from Richard’s? I understand that people become suspicious when someone in power remains silent. But does this really only point to guilt? Was there an alternative explanation? Keeping silent about such a big issue as the disappearances of the former King’s two sons will raise suspicion especially since the oldest was the rightful King and Richard III stood to gain by his absence. But, keeping silent can also be a sign of protection and Weir dismisses that option as if it never was a possibility at all. Think about this: if Richard III had ever uttered one word about the location of the Princes he would have had to substantiate that with evidence. That would have set into motion a string of unsustainable lies which foolishness would became clear all too soon. Why? He’d have had to know where they were, right? What if he didn’t? Is that possible? 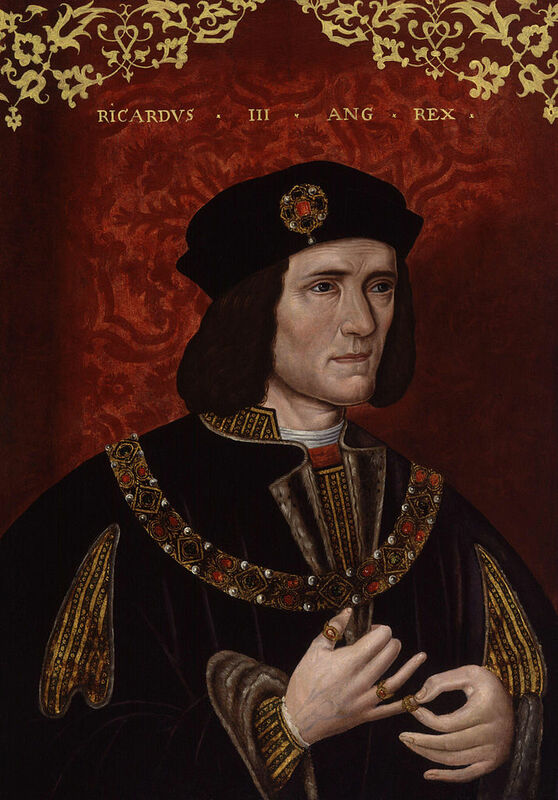 It seems highly unlikely that a ruler such as Richard III did not know. Richard III played his cards well. He was a great strategist, military-wise and politically, and knew how to build up networks with even the least enthusiastic of supporters. He was also ruthless and eliminated those he deemed a threat. But, he was too clever to engage in the mundane “he said-she said” scenes on multiple issues so starting that with the location of his nephews would have been out of character. But what if Richard III did know what happened to the Princes, is it just to assume that he is guilty of double murder? I don’t think so. There are various reasons why one can remain silent about people’s whereabouts. It is called being protective. Permission to enter the Tower of London was the sole authority of the Lieutenant or Constable on duty. Unless they had written permission e.g. direct orders from the King under his seal, nobody entered. However, no complete records survived from this period. We know about some Lieutenants and Constables who were in charge but we do not know all of them. There simply are no complete books or records that specify who was in charge during which period of time. The one Constable everyone centers on is Sir Robert Brackenbury whose specific responsibility was the Princes’ safety. Brackenbury had a very good reputation, fully trustworthy, loyal to Richard III and … to Edward IV’s children. According to all writers, he refused to let anything happen to the boys. Now take that one step further: A King loyal to his older brother and protective of that brother’s sons and a Constable with an impeccable reputation and with access to others fiercely loyal to the throne. What would have stopped these two men from taking the Princes out of the Tower and smuggle them abroad? In this period, people’s images were not so readily available as they are now. No photography, no television, no Internet. The only images available were on paintings, inside illustrated books or, on coins. Books and paintings were more available to the upper classes. In those circles there was a good chance that the oldest Prince could be recognized as he was often in public in and around London. But what about other parts of England? And the youngest? He was not known at all to the greater public. It would only have taken some ingenuity to alter their appearances such as shaving their heads, impress on them and those around them the need for secrecy, and the Princes might have lived out their natural lives elsewhere. When Buckingham was arrested for treason against Richard III, his son Edward (5) was smuggled to safety by his nurse who shaved the child’s head and dressed him like a girl. A slight change kept the child safe. Impossible that they left the Tower? Richard III was so loyal to his older brother, King Edward IV, that he even accompanied Edward twice in exile! King Edward IV entrusted his sons and with that, the realm to Richard. Combined with Richard’s silence and the fact that he never falsely accused anyone else … is it possible that he did know but remained silent to safeguard the boys? That he preferred to keep the burden of gossip on himself so nobody would actively look for the two Princes? This may sound far-fetched but you cannot prove that it is not a possibility at all. Why would Richard III remain silent? At this period in time, England was under threat. King Edward IV, the Princes’ father, had failed to unify his kingdom jeopardizing the Crown Prince’s peaceful succession to the throne. His own brothers rebelled against him. His wife’s family was eager to expand their power. Further, King Edward IV had declared war to France after the Dauphin, son of King Louis XI, married another princess instead of his oldest daughter. The fleet was under command of his wife’s family and the fleet had to be 100% loyal to the Plantagenet family if it really came to war with France. A minor King with a Protectorate would be vulnerable to invasions and attempts to take over the throne and there were plenty who wanted the realm for themselves. Those could be found amongst the maternal line of the Princes’ family, the Woodvilles. Other contenders for the throne: Henry Tudor later King Henry VII, Sir Henry Stafford (the Duke of Buckingham), John de la Pole, and Edward Plantagenet, the 17th Earl of Warwick (son of George Plantagenet the older brother of Richard III). The latter’s claim to the throne was even stronger than Richard’s. Is it possible that the Princes were murdered? Yes, of course. Is it possible that the Princes were murdered by order of Richard III? Yes, but unlikely. Richard III had far more to gain by the Princes alive. Alive, it would have made Richard’s power legitimate since the King was a minor. Add to that the experience that Richard III had in ruling Northern England on behalf of his older brother King Edward IV, and the transition through the Protectorate made sense. Another factor to consider was that by having both sons in his care and trust, Richard III’s line of the Plantagenet family would be secured for the future. It would have been more powerful than the Woodville family (the maternal line through the Princes’ mother, Elizabeth Woodville). Could they have died of natural causes early on? Absolutely. Medical care was limited to the science of that time and the eldest Prince, Edward V, was rumoured to have ailments. IF Edward V had died of natural causes early on than the possibility that the younger one, Richard of York, was smuggled out of the Tower of London and lived elsewhere, becomes even greater. Richard of York was not known by the bigger public, he was small so easier to smuggle and, resettling & protecting one person in a new life is easier than two. If the Prince(s) were smuggled out of the Tower, where did they go? I don’t know but I have a hunch where their remains are and they are not in the urn at Westminster Abbey that has their names on it. In 1674, during the remodeling of the Tower of London, a wooden box containing two small human skeletons were found in the ground close to the White Tower. King Charles II later ordered the remains to be interred in Westminster Abbey assuming those were the remains of the Princes. King Edward IV had, aside from the above mentioned two Princes, many other children. One of them was Mary of York. Mary died on March 23, 1482, and was buried in St. George’s Chapel at Windsor Castle. When her coffin was placed inside her parents’ vault, there were already two extra coffins there! During renovations in 1789, workmen accidentally broke open the vault with the remains of King Edward IV and his wife, Queen Elizabeth Woodville. They discovered a small adjoining vault with two unidentified coffins. Alas, the coffins were not inspected and the vault was sealed again. In the 90s, when repairs were being carried out at St. George’s Chapel near that same vault, a request was made to examine the vault(s) with fibre-optic cameras. With modern technology we might be able to find out who exactly lies in the vault aside from King Edward IV and Queen Elizabeth. Two coffins are entitled: Mary of York and George Plantagenet. But in the other two coffins? We may never know. 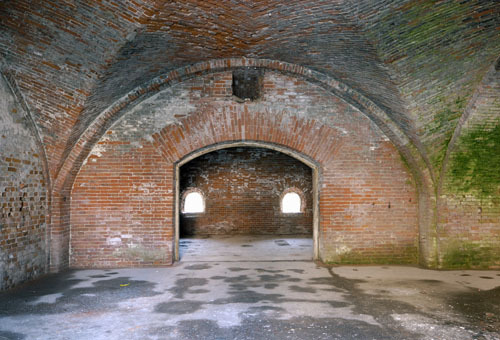 It takes Royal permission to open the vault or burial place of another Royal. So far, Queen Elizabeth has not given her permission. In 1933, Dr. Lawrence E. Tanner and Professor William Wright of the London Hospital Medical School examined the remains in that urn. Inside the urn they found a mixture of animal bones, 3 very rusty nails, and human remains. After the bones were sorted they were able to make two incomplete skeletons, one larger than the other. Sadly, crucial bones were missing. From the jaw bones and the teeth, modern technology could extract information such as diet (indicating underfed or well fed hinting to class/standing), age (compared to the Princes), and their health in general. Edward V, the oldest of the two Princes, allegedly suffered from either a jaw infection or severe teeth/gum infections. If so, the teeth found could be an indicator as to what exactly was troubling the Prince and whether for his time period, his ailment was deadly. The Wright examination showed the older incomplete skeleton was from a child approx. between 11-13 years and the smaller incomplete skeleton from a child approx between 7-11 years old. At that time, it was not possible to determine conclusively the gender of the children. It was also not possible at that time to determine conclusively that the skeletons were from people related to each other. There was suspicion but no hard evidence. This exam in 1933, is the only examination on the alleged actual remains of the Princes. Weir describes on pages 256-257 another medical examination. However, those scientists had to rely on the work done by Tanner & Wright. They never had access to the actual remains because as I mentioned, it takes Royal permission. Maybe this is evidence for a historian that a certain development did or did not take place. 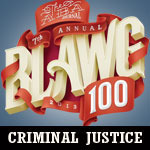 However, that can never be used as a criminal charge or worse, a verdict. And that is exactly what was done to King Richard III. I am sure that criminal defense lawyers could enlighten us on the dangers of accepting rumours and beliefs as established facts to use as evidence in a double murder charge! Last year, during a search for the remains of King Richard III, a skeleton was discovered. From the National Geographic: “Archaeologists from the University of Leicester began actively searching for the burial place of Richard III this past August. According to historical accounts, Tudor troops carried Richard’s battered corpse from the Bosworth battlefield and displayed it in the nearby town of Leicester before local Franciscan fathers buried the body in their friary choir. With clues from historic maps, the archaeological team located foundations of the now vanished friary beneath a modern parking lot, and during excavation, the team discovered the skeleton of an adult male interred under the choir floor—exactly where Richard III was reportedly buried. The newly discovered skeleton has scoliosis, a curvature of the spine that may have resulted in a slightly lopsided appearance, and this may have inspired Shakespeare’s exaggerated depiction of Richard as a Quasimodo-like figure. Moreover, the body bears clear signs of battle trauma, including a fractured skull and a barbed metal arrowhead embedded in the vertebrae. And even the burial place points strongly to Richard. 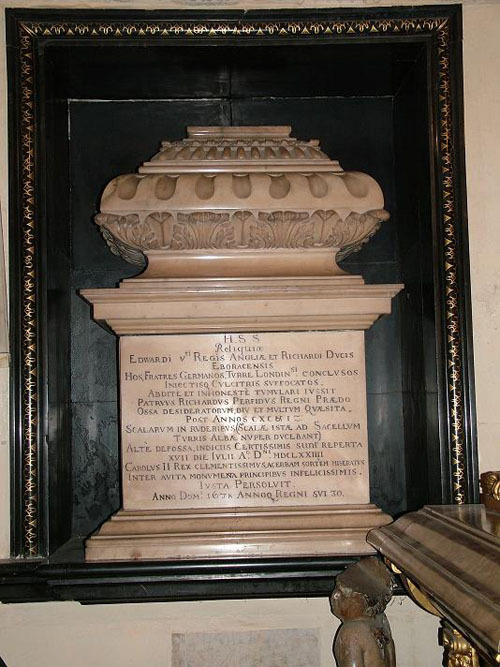 English armies at the time simply left their dead on the field of battle, but someone carted this body off and interred it in a place of honor. The DNA results of what we hope is King Richard III could be compared to DNA from the bones considered to be the Princes’ remains. We have the remains of the Princes’ father. Establishing the royal blood line is now a possibility. Until Queen Elizabeth, or her successors, give permission to investigate all the six coffins in King Edward IV’s vault and test the remains for DNA to establish a familial royal bloodline, I consider King Richard III not guilty of double murder and therefore consider the case of regicide against King Richard III, closed.